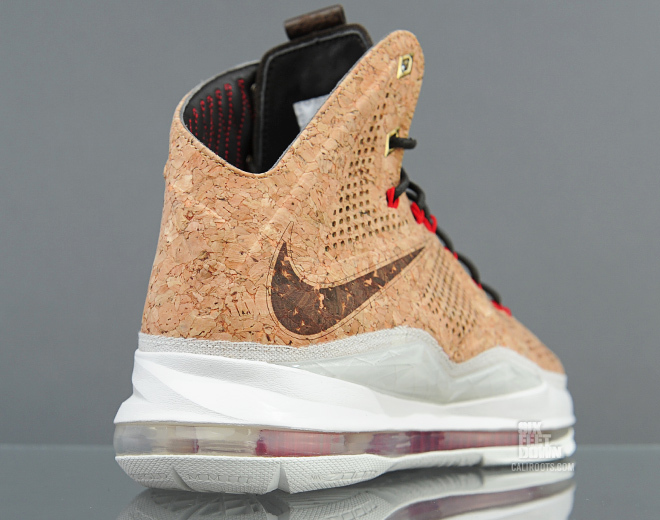 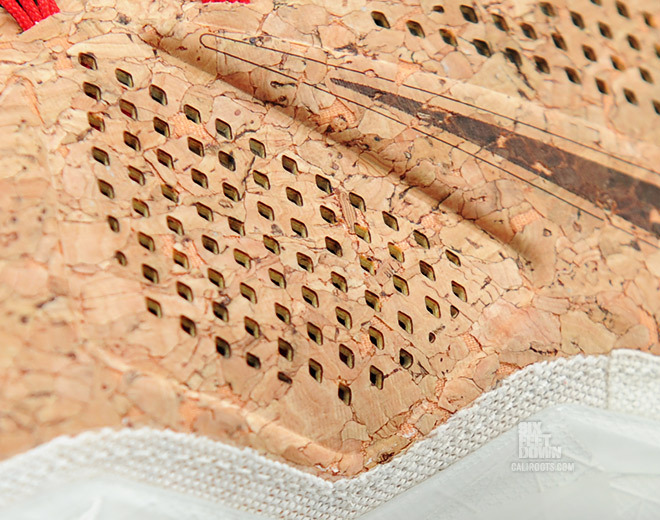 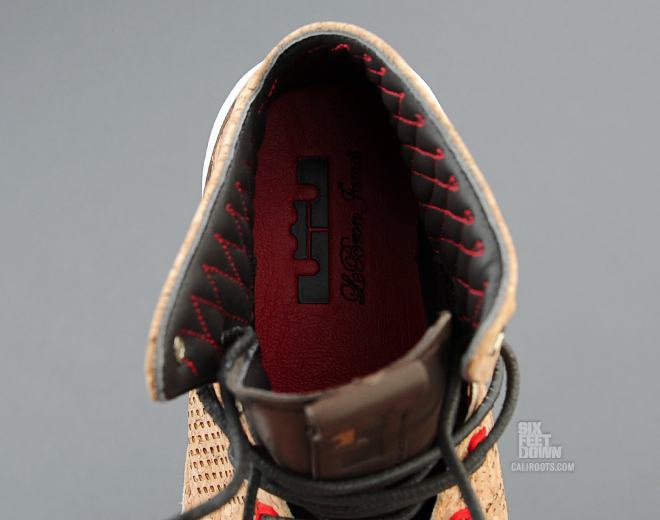 A closer look at the highly anticipated Nike LeBron X EXT "Cork," launching at select retailers this weekend. 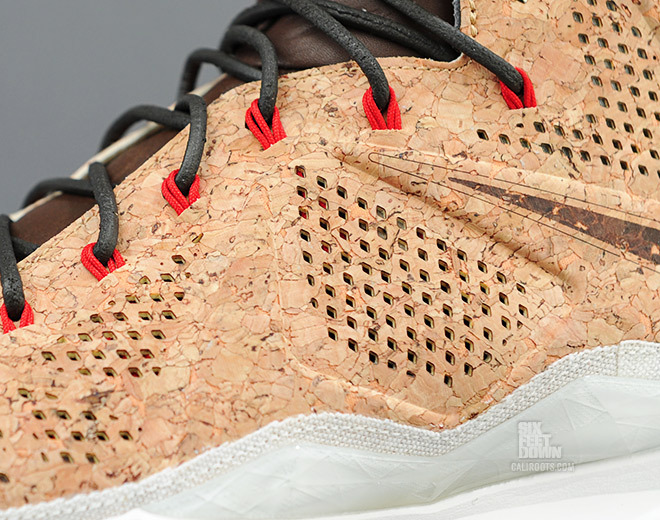 Six Feet Down provides a closer look at the highly anticipated Nike LeBron X EXT "Cork," launching at select retailers this weekend. 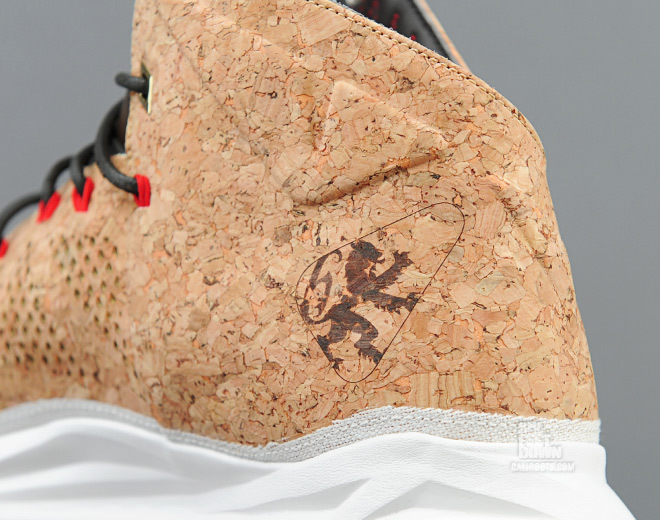 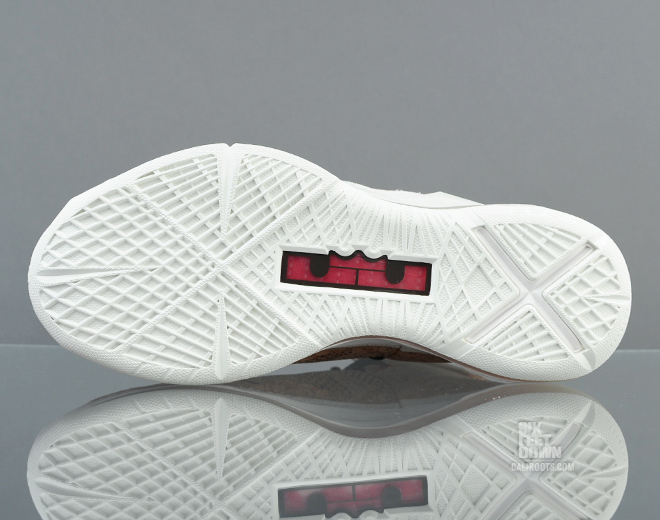 The unique colorway celebrates LeBron's first NBA championship, utilizing a genuine cork upper with metallic gold and university red accents. 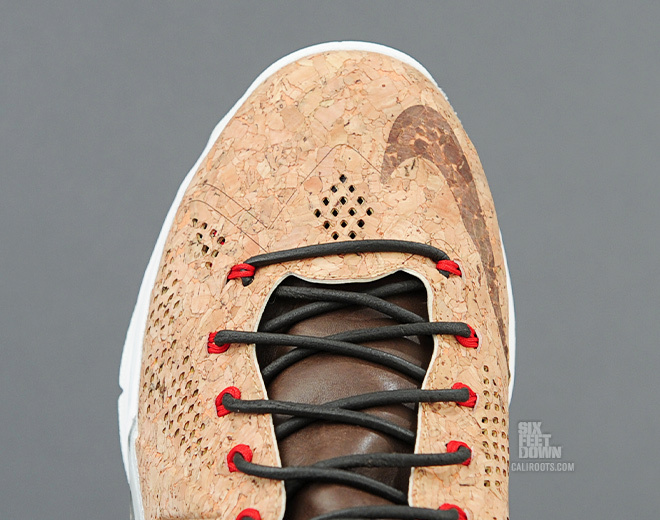 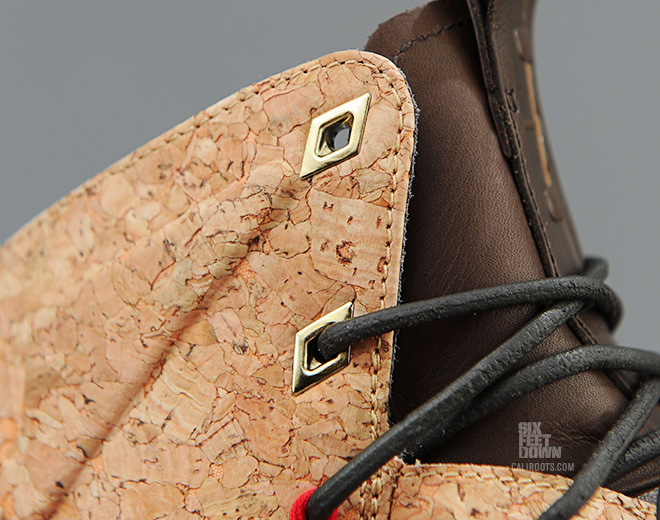 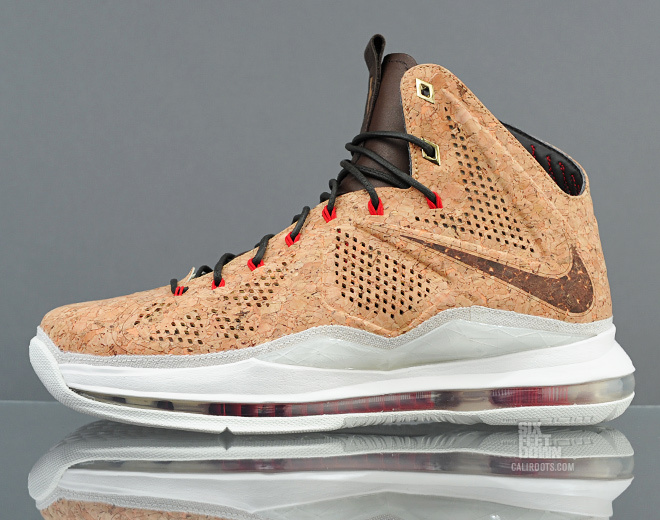 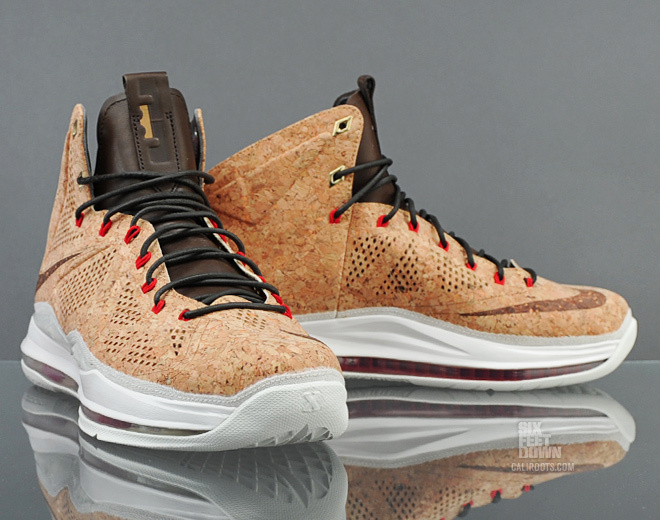 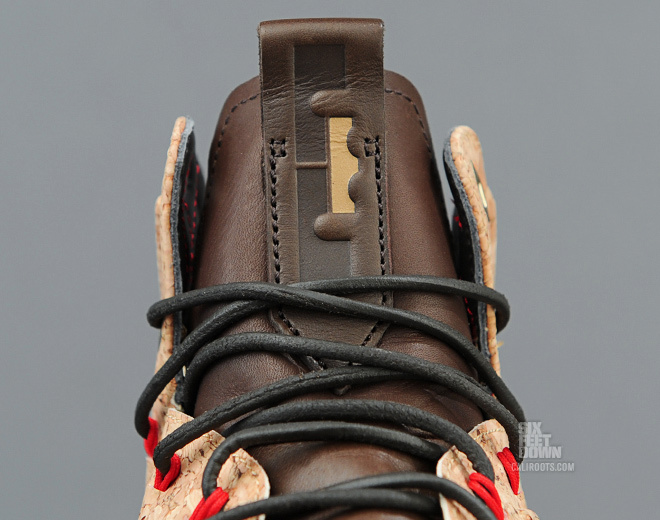 The limited edition Nike LeBron X EXT "Cork" will release at select Nike Sportswear accounts on Saturday, February 23.